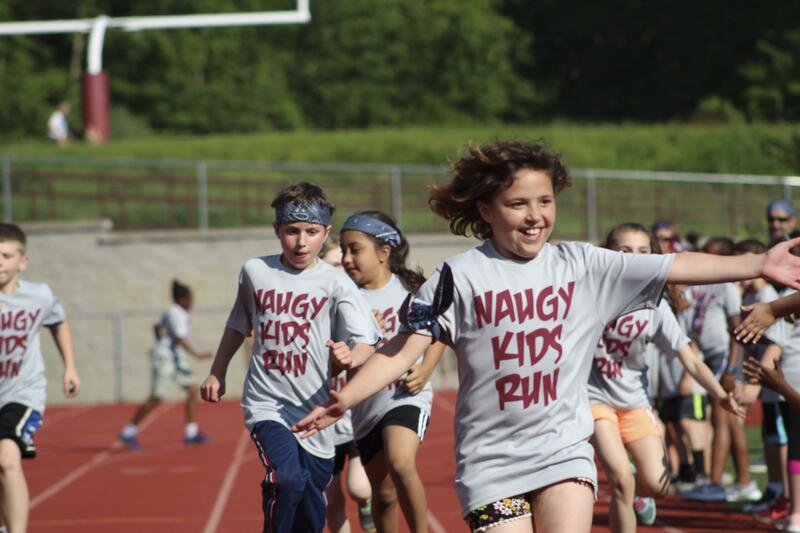 The safety and security Mission of the Naugatuck School District is to provide a safe, climate friendly, school system for both students and staff. This is done by continually evaluating our current safety and security protocols and ensuring that updates and trends, through collaboration with law enforcement and educational sources, are reflected in our policies. Effective and efficient safety and security guideline updates and procedures are ongoing to our Mission. The first, Mitigation and Prevention, addresses what our school district does to reduce or eliminate risk to life and property. This involves safety audits, threat assessment and access control. School administration and the Security Advisor periodically meet with Police, Fire and Medical Response Personnel to discuss each department’s emergency response procedures. 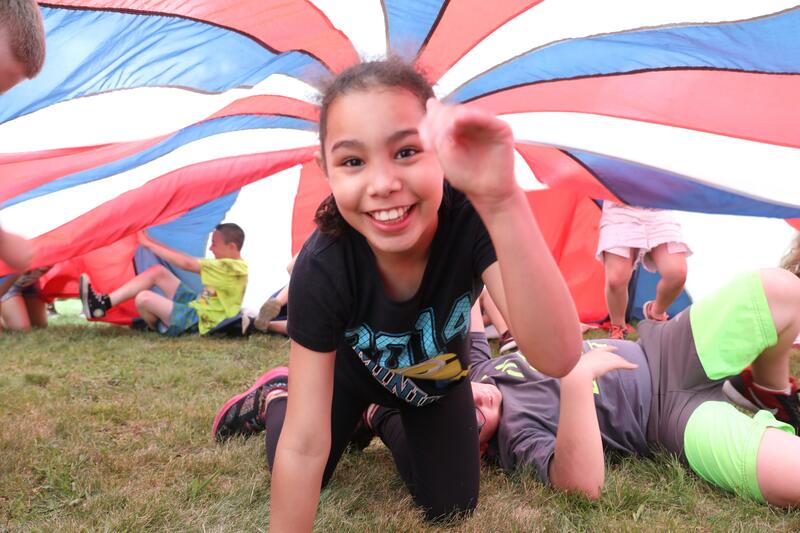 Improvements to school preparedness, based on assessment evaluations of the school, along with updated emergency responses, may be made. The third, Response, is devoted to the steps taken during a crisis. Response techniques to an Active Shooter, Dangerous Intruder, Severe Weather, Building Evacuation, Protect in Place or a Medical Emergency are taught and practiced. The fourth cycle, Recovery, deals with how we restore the learning and teaching process after a crisis. This includes dealing with the healing process on a personal level and property repairs, as needed. 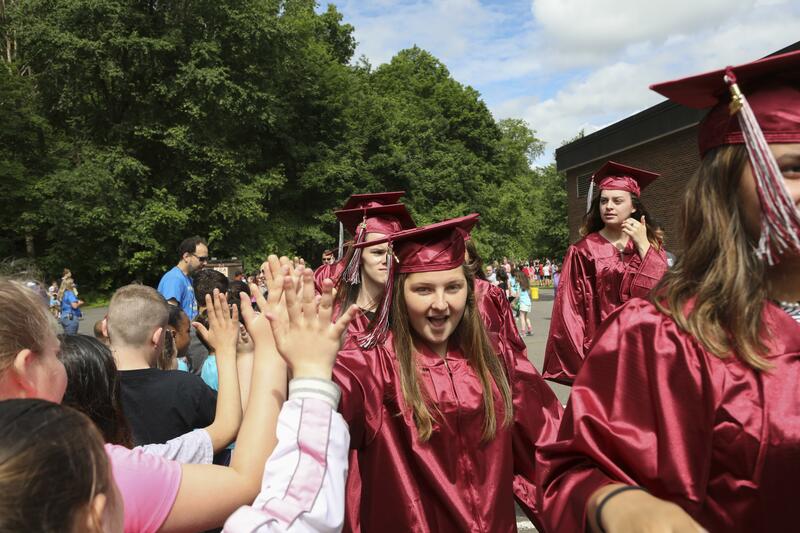 Each school in the Naugatuck School District not only practices fire drills, but also Emergency Code Drills during the school year. These drills include responses to an Active Shooter, Dangerous Intruder, Building Evacuation, Protect in Place, Severe Weather and Medical Emergency. Practice and training of students and staff is essential to a successful safety and security plan. 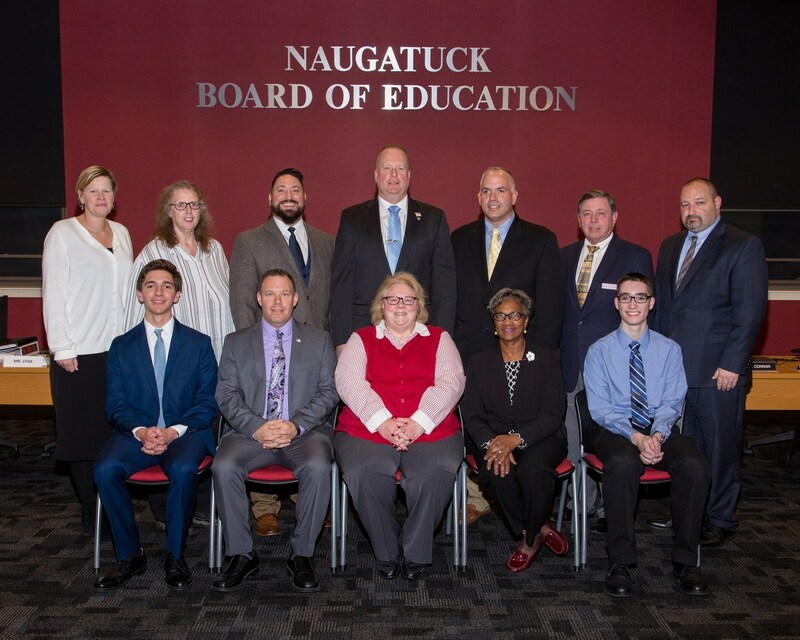 The Naugatuck School District places a high priority on training. After morning arrivals at each school, all exterior doors are locked. Before visitors are allowed to enter a school, they must go through a buzz in process. They are required to identify themselves and state the purpose of their visit prior to entry. They are observed by a school employee before entry. If approved for entry, the visitor will be allowed to enter the school. They shall then report to the proper location to be signed in and given a visitors pass. Their destination shall be confirmed by the school employee and the visitor is required to sign out upon leaving the building. Each school in the district has cameras that monitor the interior and exterior of the building. They are monitored by one or more school employee. A protocol for each school is in place should anything suspicious occur. 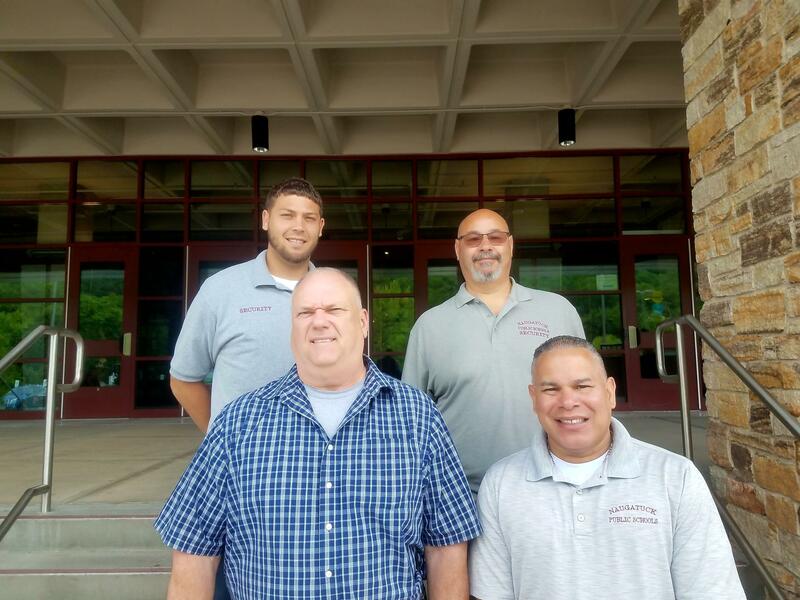 Naugatuck High School has four full time security guards that monitor the interior and exterior of the building. 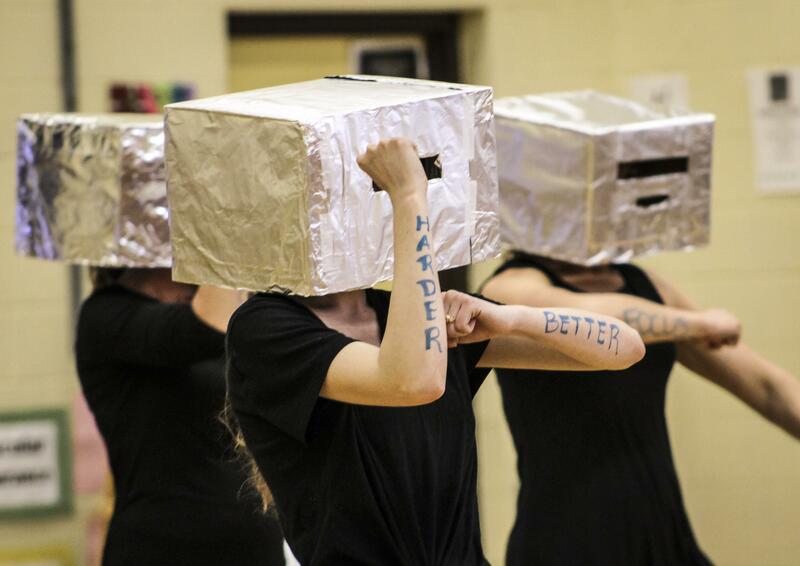 They respond to calls for service at the request of the school administration. Their main goal is to keep students and staff safe and report anything suspicious. 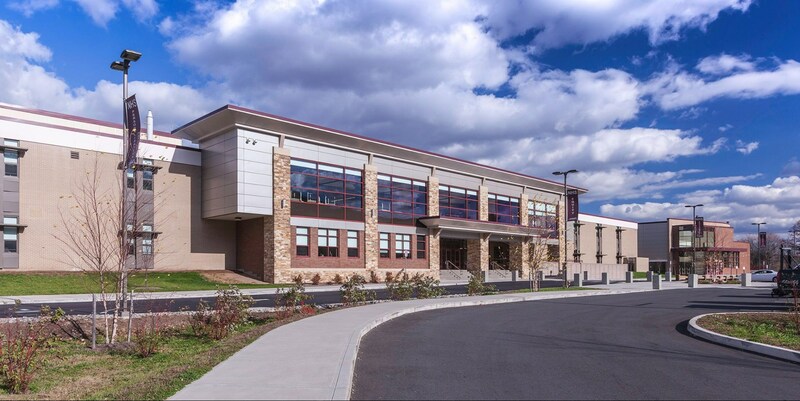 Naugatuck High School also has a full time School Resource Officer assigned during daytime school hours. This service is provided by the Naugatuck Police Department. The SRO’s purpose in not only to investigate situations that fall under the SRO job description, but to also build a rapport with students and staff. City Hill Middle School has two full time security guards on duty that perform similar functions as those at the high school. 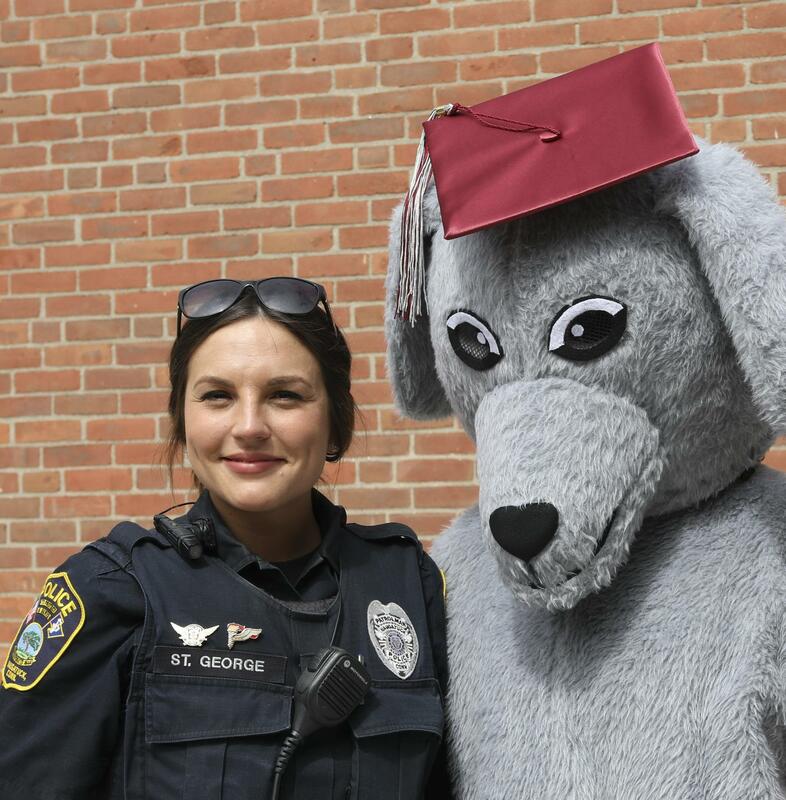 The Naugatuck Police Department also participates in a program called, “School Checks”. A police officer is assigned to a particular school in the district. The officer makes periodic stops at the school as part of their patrol rounds. They interact with students and staff and present a positive image with their presence. 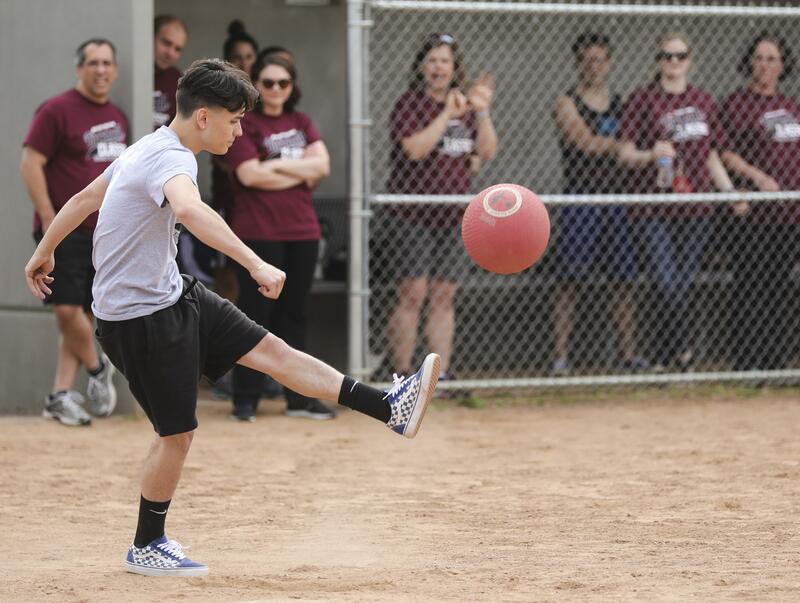 How can students, parents and guardians help to keep the schools in Naugatuck safe? Everyone in the community must be alert to potential dangerous situations. Any help is welcomed to identify and report something that you may find upsetting and potentially dangerous to a school environment. We ask that you be alert to unusual or threatening talk, texts and social media posts. If you hear or see something that makes you feel uncomfortable, please report it to the proper authorities. Remember, most people involved in dangerous behavior toward a school population, usually engage in some type of revealing conduct prior to the incident, such as talking about hurting people or texting or posting threatening comments or pictures.